I was in Paris last week. One of the reasons we went was to try to locate the alleged ‘teleportation chamber’ in the cemetery of Montmartre. I wrote about the London funerary teleportation grid made by Joseph Bonomi and the Clerkenwell inventor Samuel Warner here. 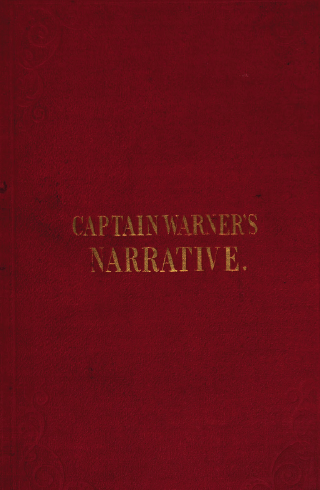 I remain undecided on whether Warner was a complete fraud, a visionary or just deluded. Amongst several other inventions, he claimed to have developed a missile capable of destroying ships from a distance: ‘a teleportation bomb’. In a period of war and abiding mistrustful relations with France, The Royal Navy were so keen for an advantage that they paid him to develop this extraordinary weapon but proved unable to reproduce his results independently. Bonomi was a believer for sure and it was allegedly with his occult knowledge that Warner had developed this ‘psychic torpedo’. When convincing the military of the efficacy of the mind bomb proved unlikely, they turned their joint efforts and techniques to a semi-commercial venture – the London teleportation system .This was constructed across the seven major London cemeteries and sponsored by Lord Kilmorey, but secretly Warner continued with his military schemes. In amongst the extravagant claims and self justification of his various books on the subject of National defence, there appear to be references to another teleportation chamber hidden in a Parisian graveyard. 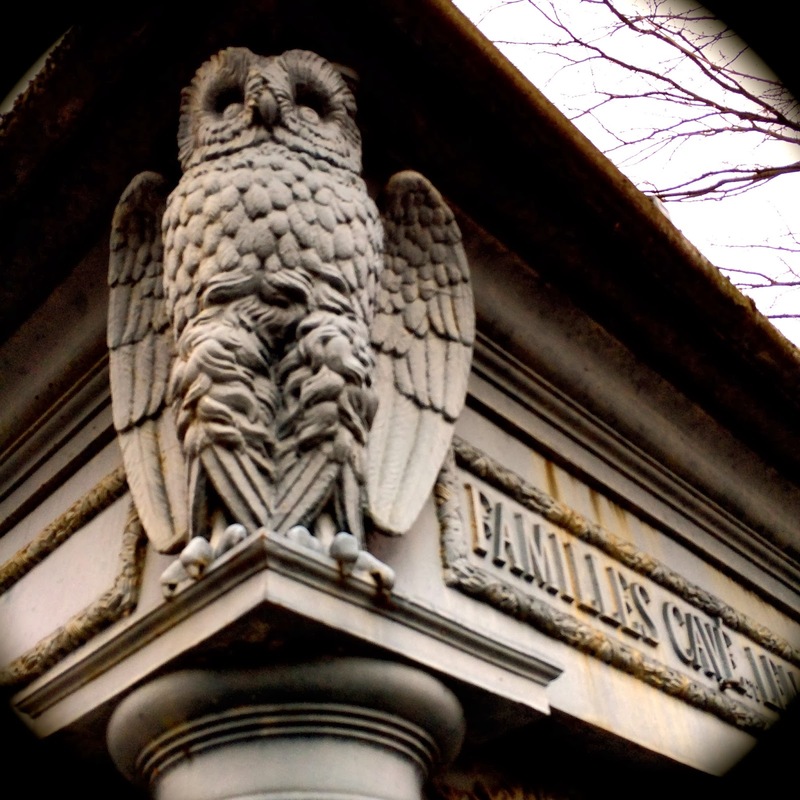 This may have been intended for the purposes of reconnaissance or spying – hence the employment of owl symbolism- but it seems to have been designed without Bonomi’s assistance for it does not bear the typically Egyptian stylings he favoured in London. 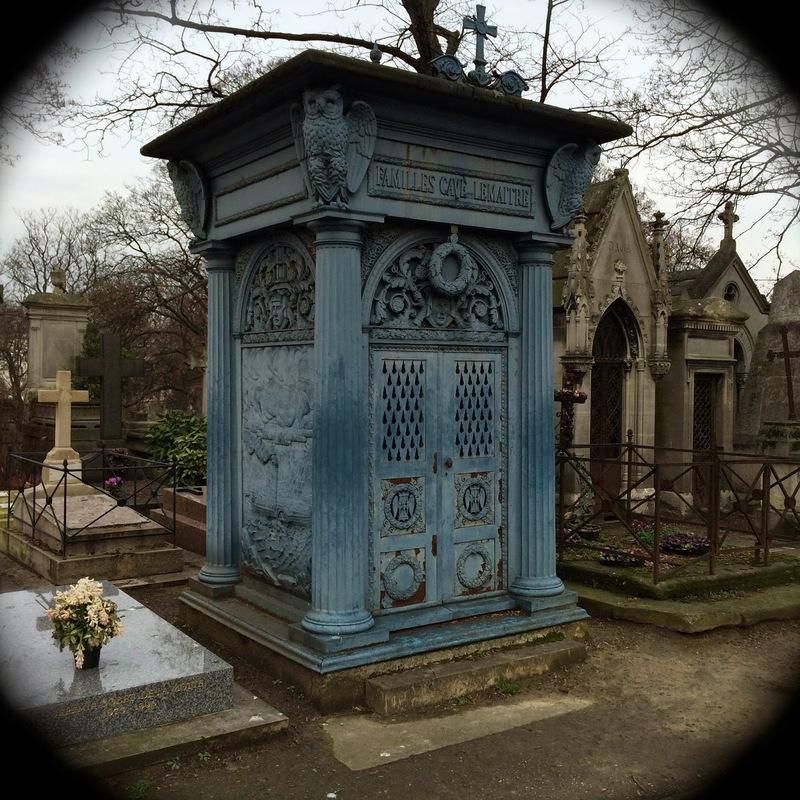 This cannot have been so that it would not stand out in Montmartre – it lacks any religious decoration and being the only structure in the graveyard engineered from blue ship metal is not that difficult to spot when you know what you are looking for. The naval connection is evident in the side panels which have cast images of ships with engines on them – perhaps the fantastical machines used to launch Warner’s occult weapons? Whist in Montmarte, we stumbled over another most peculiar monument – that of the amazing 3D Doctor Guy Pitchal. Whilst mysterious and odd, this relies on a more obvious psychic technique to prove there is life of a sort after death. Press play to see why..